But cooking for two people or even singles isn't as simple as cutting a recipe in half. In EatingWell Serves Two , the award-winning editors and recipe developers for America's leading food and nutrition magazine have created 150 dinner recipes from their hugely popular "Healthy in a Hurry" and "Serves Two" columns to meet the specific needs of smaller households. More than a cookbook, EatingWell Serves Two provides a smart guide for how to shop in small quantities, how to store leftover ingredients, keep a well-stocked pantry and use easy cooking strategies that result in minimal waste while putting a healthy, delicious meal on the table in 45 minutes or less. Filled with mouthwatering photography and tips on shopping, planning and simple cooking for two with healthy ingredients and without waste. 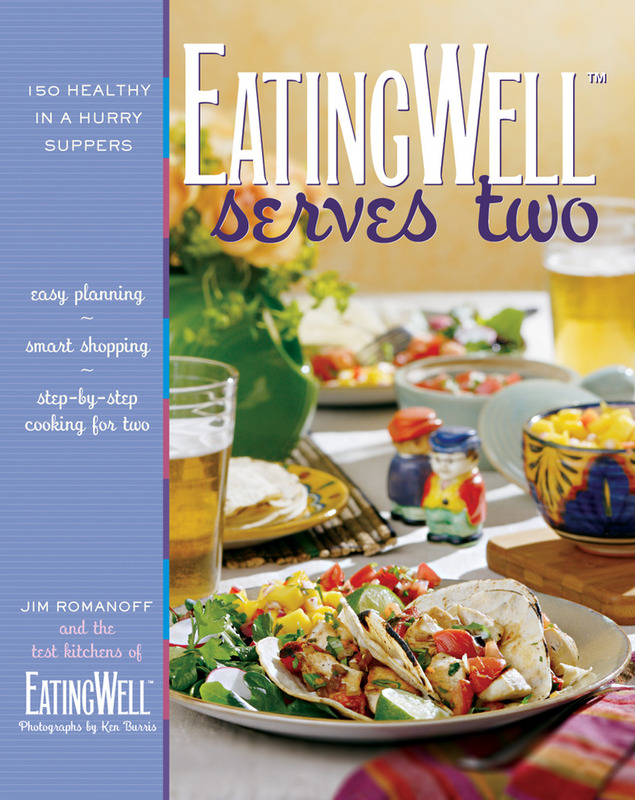 Jim Romanoff is the food editor and a longtime recipe developer for EatingWell Magazine, as well as editor of the highly acclaimed EatingWell Healthy in a Hurry Cookbook. He has worked for such diverse publications as Woman's Day, Fresh Ideas, Rolling Stone, Us Magazine and Details.